Several months ago we did another set of plans with the thought of providing a solid plan for a family incorporating the new Fast Pass Plus system. We hoped to achieve 2 things: Give you a great day at the Animal Kingdom and prove it was no half day park. And, with regards to the latter, we had a 9am to 6pm day where neither of us could fit all the attractions in. 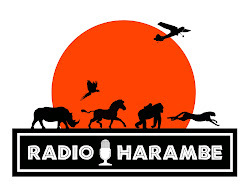 This plan is something different altogether and we discussed it on episode 80 of Radio Harambe. This for adults who don't care or even want to see everything. It gives you the highlights, it gives you down time and it gives you alcohol and lots of it. The idea is to show that this park is GREAT for relaxing days, enjoying ambiance and entertainment and fine food and drink. As with any touring plan, you first need to plan it out 60 days in advance and book those fast passes. So for our plan we want you to pick the following: Everest for 5pm to 6pm, Kilimanjaro Safari for 11am to Noon, and Dinosaur for 330pm to 430pm. We are assuming the park hours will be from 9am until 6pm which is fairly typical and no extra magic morning hours. We mentioned this before: TAKE ADVANTAGE of the new opening procedure that the Animal Kingdom has and roam around the Oasis from 8:30 until the rest of park opens at 9am. 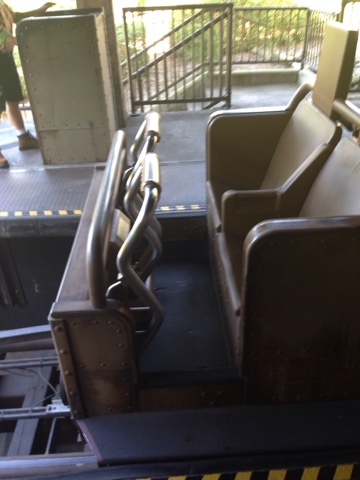 Now while the rest of the guests we make a beeline for Everest or the safari, we want you to rope drop the Dawa Bar. 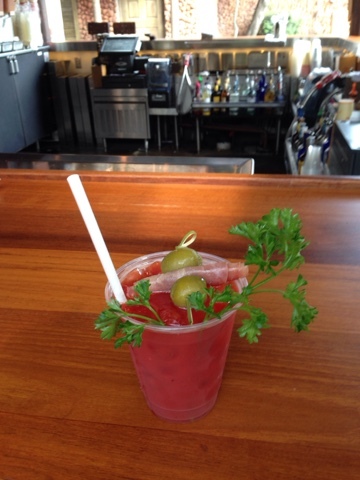 For well over a year, this lounge opens with specialty bloody marys that are quite good. And they have recently added specialty mimosas. So pick your poison and enjoy the Tam Tam Drummers first set at 9:05. 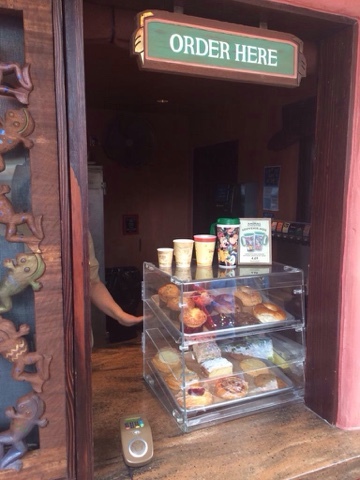 It also might not be a bad idea to grab some pastries over at Kusafiri, too. After about 45 minutes (don't worry you will be heading back to the Dawa later), I want you to take a leisurely stroll through the Pangani Forest Trail. In the early morning, the animals tend to be a bit more active. You want to exit Pangani around 10:15 and head over to the 10:30 showing of Festival of The Lion King. Afterwards, you should be all ready for your Kilimanjaro Safaris fast pass. 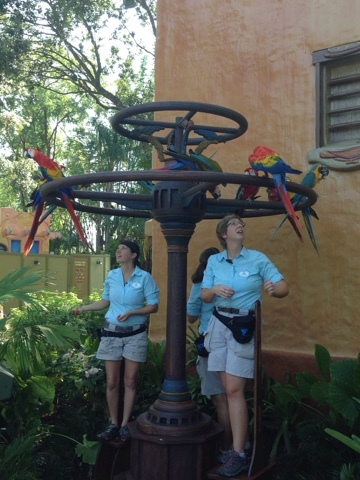 After the safari, you are just a short walk to Flights of Wonder for the 11:45 show. After that relaxing bit, I say jump on over to the Maharajah Jungle Trek. Follow this up with a Yak Attack (or some other cocktail like a margarita or draft beer ) at the Quality Beverage counter right there at the Yak and Yeti Counter service and walk in on over to the front of the Tree of Life to watch the 1pm showing of Winged Encounters. Now its time for food. Head on over to the Harambe Market for lunch. Beer and ribs are always good here. The swing on over to the Dawa for another round - my choice would be the very good sugar cane mojito, making sure you catch the 1:50 showing of the Burudika Band. We want you spend about a good hour and half eating, drinking, and if you like some shopping but try to get over to Finding Nemo the Musical at about 2:45 for the 3pm show. We find the Nemo Musical and puppetry more enjoyable slightly tanked (pun was intended). At the end of the show, you should be ready for your Dinosaur fast pass, so enjoy. Before heading over to the Asia section, we recommended shopping at Chester and Hesters' and perhaps grabbing the new Cretaceous cooler (which is rum and pineapple juice) but you MUST stop at Dino Bites for an ice cream - they have hot fudge sundaes and waffle cones, but the real draw are ice cream sandwiches the size of your head made with fresh baked cookies. YUM. Now remember, you have 5pm to 6pm fast passes for Everest. We recommend hopping on board at about 5:25. You'll see why in a sec. But before that, there are 2 solid options for relaxing a bit before the ride. There is the Yak & Yeti lounge and the brand new Thirsty River right by Everest. Here you can enjoy more unique drinks like the Flying Yak or the Himalayan Ghost. By getting on board at 5:25 or so, that should give you time for a second ride, getting in the stand by line before 6pm and enjoying the queue before one last encounter with Disco Yeti. So what about dinner? I recommend scoring 7pm reservations at Sanaa at Kidani Village. After dinner, you can enjoy the excellent lounge there, as well. Or hit up Jiko or Boma at the Jambo House and a night capping round at Victoria Falls. I love this idea. 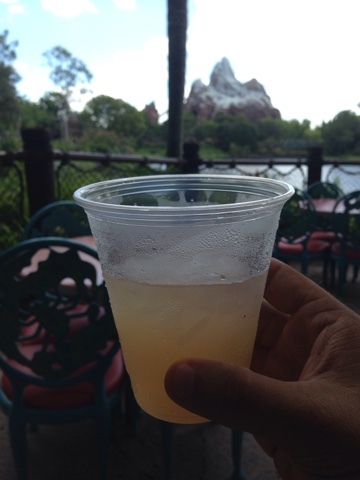 We did drinking around the world in Epcot but drinking around Animal Kingdom sounds like an amazing idea! Definitely planning this for the next trip!